Ministry of Public Security Prisons where political and religious detainees are held. 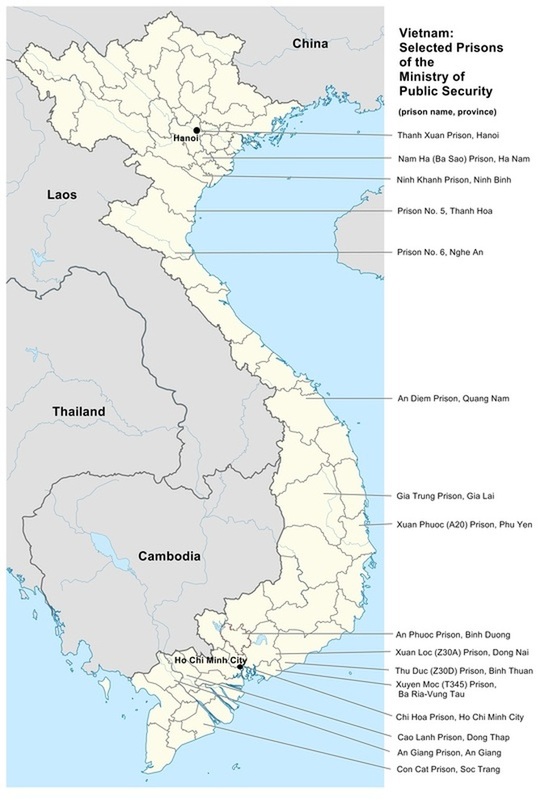 This map, prepared by the Campaign to Abolish Torture in Vietnam, shows the location of selected prisons operated by the Ministry of Public Security in Vietnam where political and religious prisoners are currently being held, or where they are known to have been held in the past. Vietnam: Selected Prisons of the Ministry of Public Security. Credit: Campaign to Abolish Torture in Vietnam, 2014.